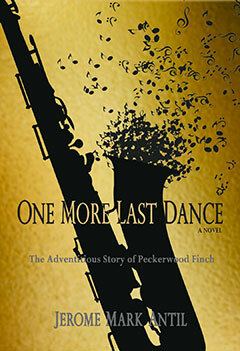 One More Last DanceÂ is a compelling story about the power of friendship, one that develops between two men through an unlikely road trip. Peckerwood Finch has a lot going against him. The 25-year-old Cajun man was abandoned at birth by his parents, endured abusive foster parents, is illiterate, and there's his name--an unflattering term for a rural white Southerner. Fortunately, he's affectionately known as Peck (his given name is Boudreaux Clement Finch). Peck is a fisherman and mows the grass at a small hospice on a Louisiana bayou. There he meets Gabriel "Gabe" Jordan, an elderly African American man dying of cancer whose final wish is to attend the Newport Jazz Festival. Despite his own shortcomings, Peck is determined to make Gabe's dream come true. The new friends hit the road only to be stymied by, among other things, a lack of funds and Peck's poor sense of direction. At times, guardian angels come to their rescue, including a wealthy real estate broker who offers to buy airline tickets, among many other generosities. But Peck has no form of identification and must travel by bus while Gabe flies. The bulk of the story then concerns Peck's adventures en route.